Have you tasted a dragon……? With the lunar calendar welcoming the new year of the Dragon on 23 January 2012, one reads, hears and sees everything about ‘dragons’… but has anyone tasted a dragon….? A Dragon fruit, to be precise. Most aptly, nature has coloured it in shades of reddish-pink and textured the skin of the fruit to slightly resemble ‘dragon scales’ – hence the name. 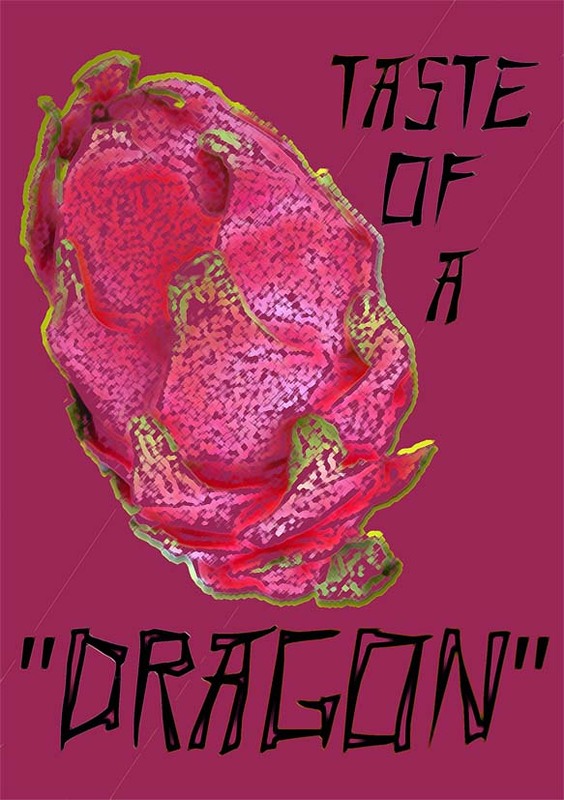 Contrary to what one might expect of a fruit named Dragon, the flesh is not fiery in taste, but rather plain – to the point of being a bland sort of sweetness….in my humble opinion. In the meantime, while the norm is to celebrate the festive occasion with excessive eating, drinking and spending, try to spare a thought for the less fortunate, share from your heart, and pray for those who are in need of the Lord’s blessings, especially the world at large. Wishing one and all, a Happy Lunar New Year. Influenced by cousin Pauline who is always on the lookout for ‘simple recipes’ (she happens to be a culinary whizz though is very humble about it all), we have been experimenting with Homemade Ice Cream – without the use of an ice cream machine) – and putting on a few extra pounds along the way. Some say it is easier to buy luscious, creamy ice-cream off the supermarket shelves — but there is a certain sense of achievement in making it at home, especially without the use of a machine (as we don’t have one). 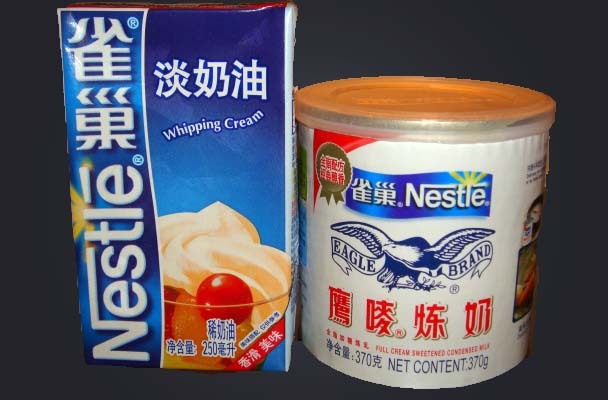 Whip the cream in bowl with an electric mixer until light and fluffy. In a separate bowl, whisk together sweetened condensed milk, coffee and kahlua. Gently fold the milk mixture into the whipped cream. Pour into a container and cover. Freeze at least 6 hours or until firm (please refrain from tasting it every half hour otherwise there will be nothing left by the time its ready for your guests). Serve with a biscotti or chocolate wafer (or anything else you might prefer). Other recipes using cream and sugar, from these links might be of interest…. The secret to keeping youthful..? A whisk for my head! Recently, a good friend surprised me with what looked like a whisk – the difference is, that it is not for use in the kitchen (at least I have not tried whisking eggs with it)…but for the head. 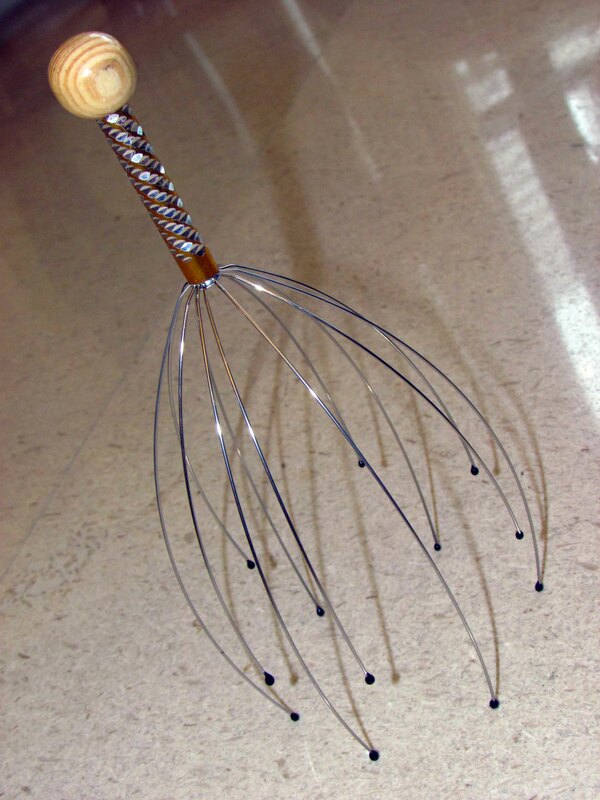 Yes, it turned out to be a head massager in disguise! 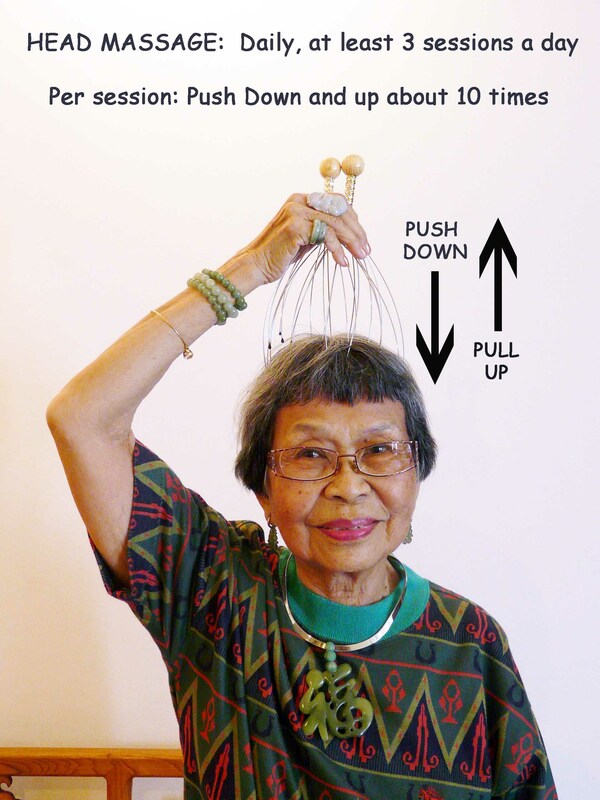 I happily put it to the test immediately, pushing it gently up and down on the top of my head, and yes, it ‘wakes me up’ after each session of about 10 ups & downs. I massage my head at least 3 times a day or whenever I feel a need to ‘re-energize myself’.. It is even more effective if I use two whisks at the same time – I bought 2 more when we chanced upon them at a vendor’s stall in the local market. What joy to find it here….I should have bought more. 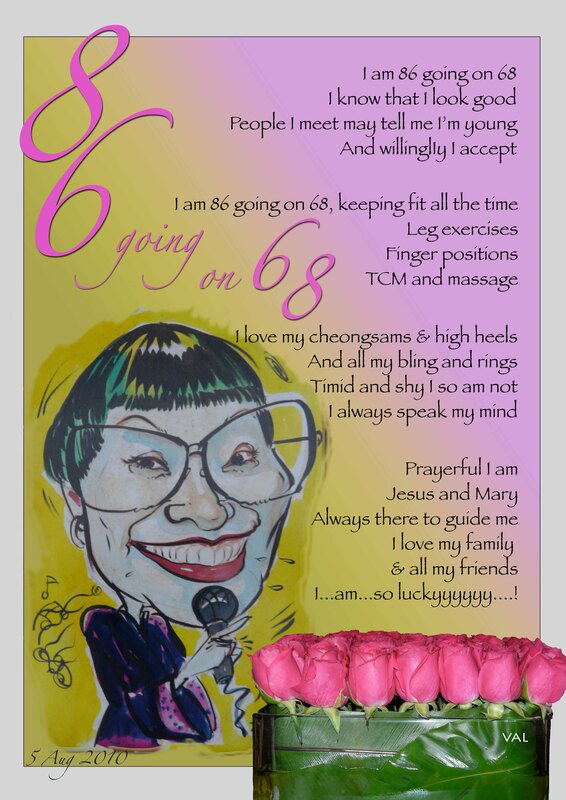 My hands are never idle, as I am always creating something – or – praying! 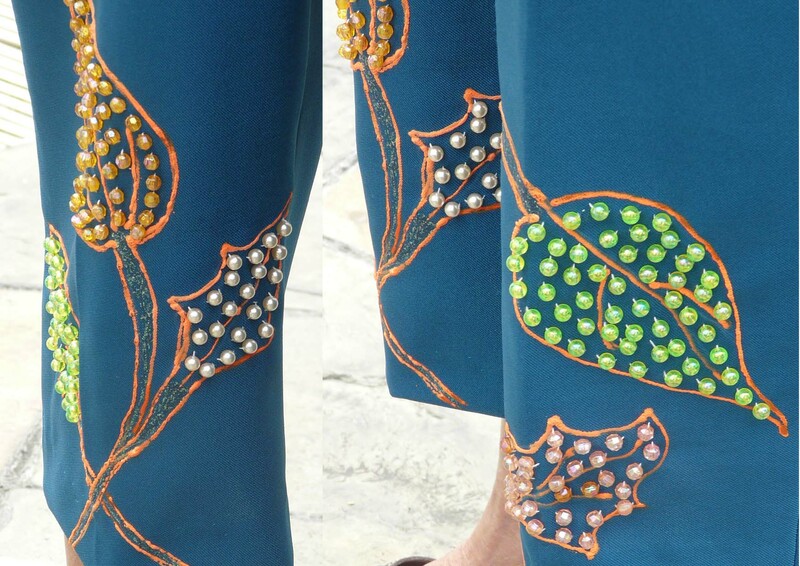 In this case, I painted leaf patterns and gave them life with some sewn on beads, onto my pedal-pushers and here they are, eye-catching and original. 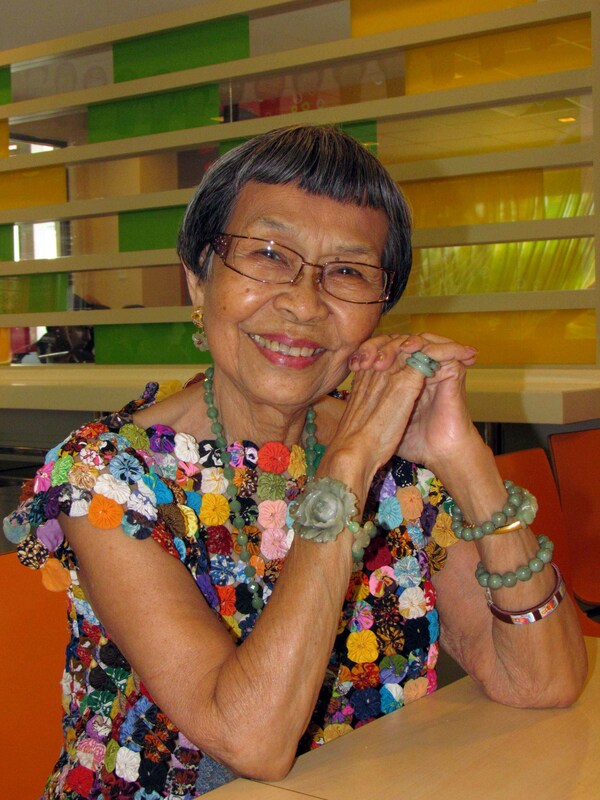 At the age of 87, I can still see the eye of the needle and thread it with ease – Praise the Lord for that. A box of paint with bits and bobs is always within arm’s reach, so when inspiration hits, it is easy to let the artist in me go to work immediately….most of all, it gives me such joy to see the end result. Amen. 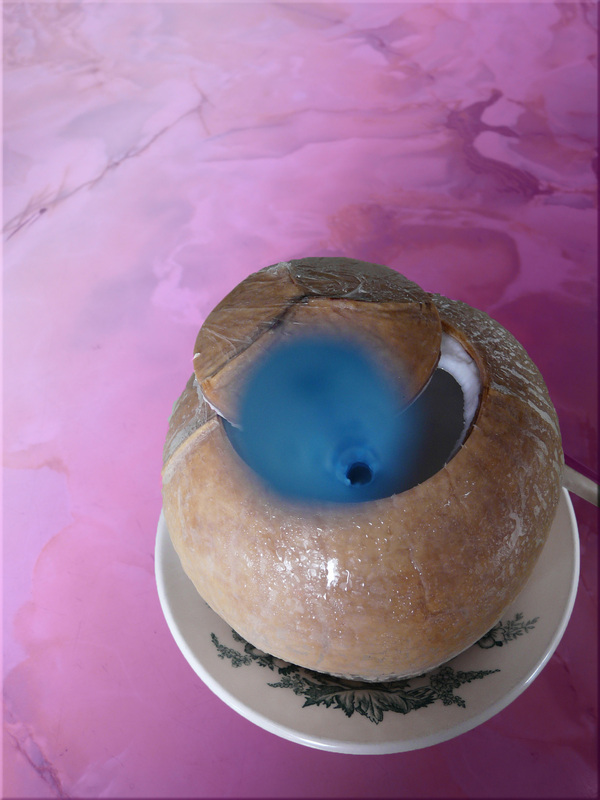 Sipping fresh coconut water out of its shell is one of the simple pleasures in life.. In cnngo.com’s World’s 50 Most Delicious Drinks the humble coconut water is included and rightly so. It happens to be our favourite refreshing drink in this hot and humid climate, especially when served in its own coconut shell. My preferred choice would have to be the coconuts from neighbouring Thailand, as the coconut water within the shell is usually gently fragrant with just the perfect natural sweetness. While savouring a bowl of the best curry mee (curry noodles) in Penang (on the island at least) recently, and quenching our thirst with coconut water chilled in its shell, our contented gazes abruptly came to focus on a poster advertising Durian Coffee! 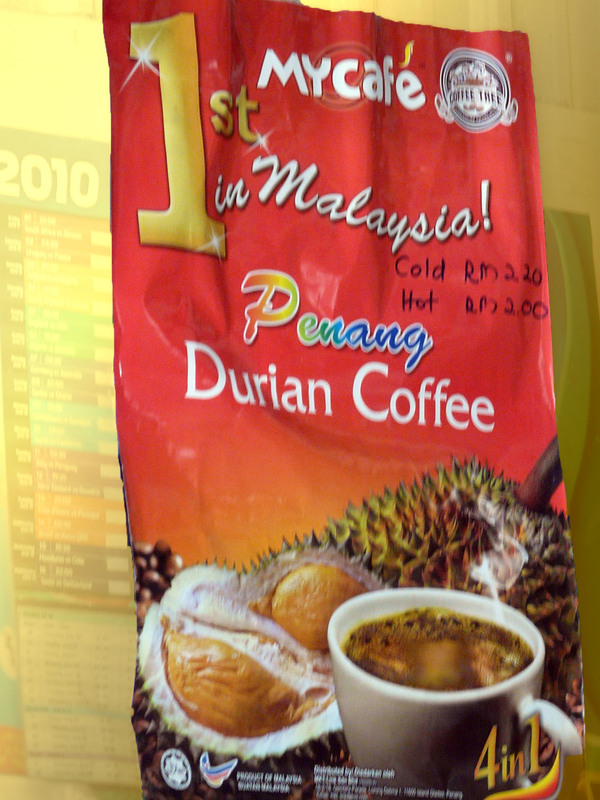 The mind boggles at the thought of Durian Coffee?? The first reaction was one of …. ‘eeeuuw, no thank you’ – inspite of the fact that we are all durian lovers. So if anyone out there has tasted this seemingly new flavor in instant coffee, please do share your opinions with us. One wonders if the multitude of flavors found in the instant coffee sachets displayed on supermarket shelves do indeed satisfy the taste buds………. or are they just a constant ploy to entice the insatiable instant-coffee lover to continuously buy more …. ?